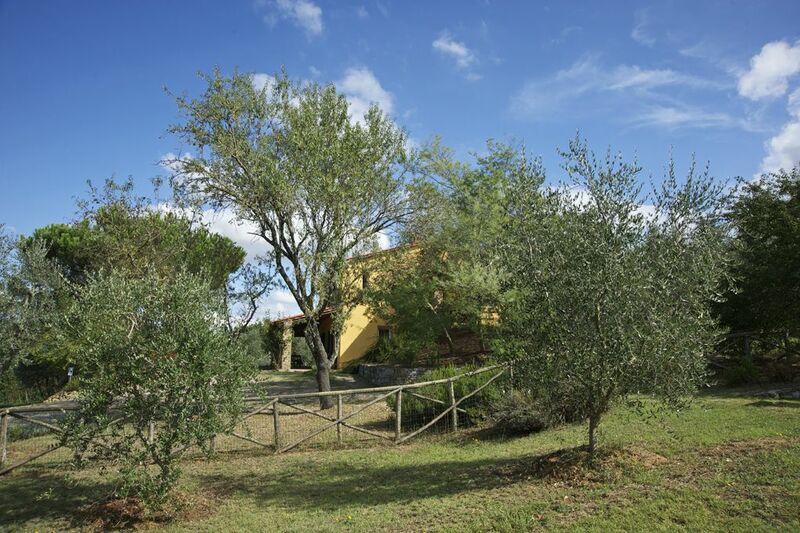 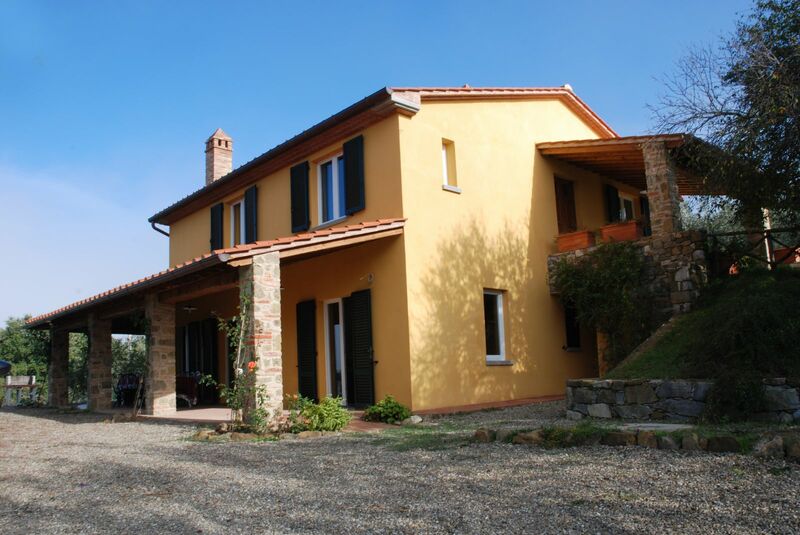 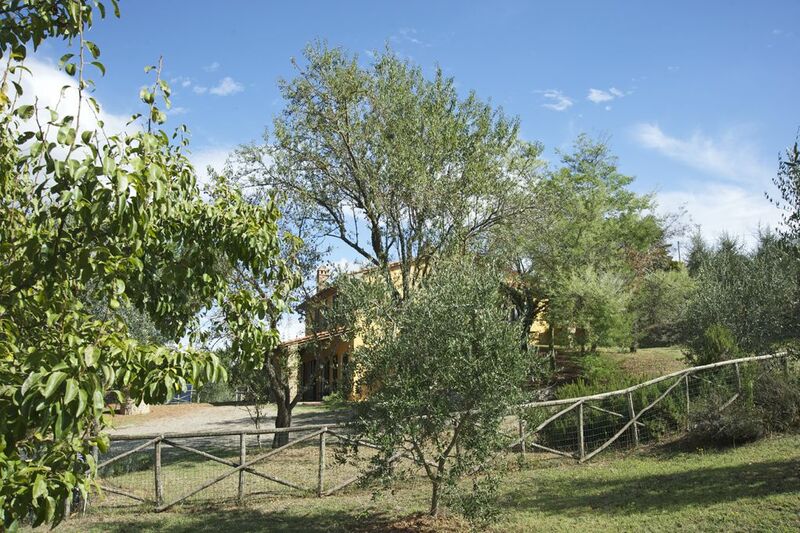 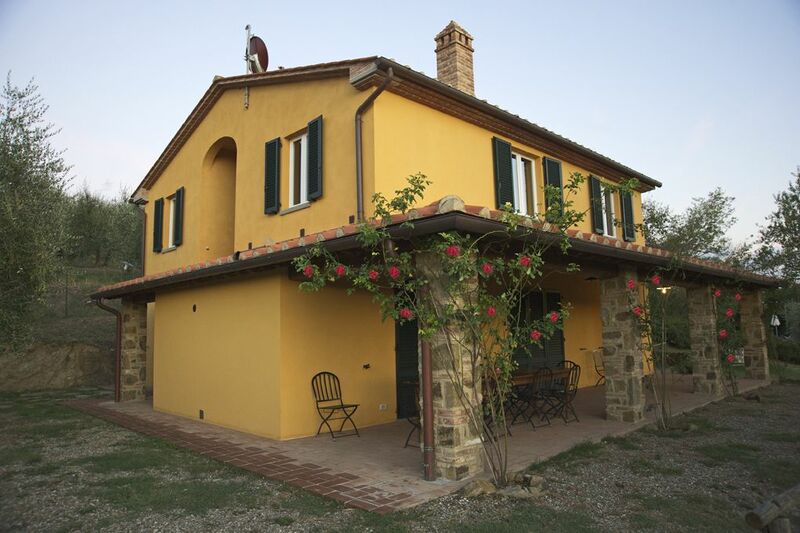 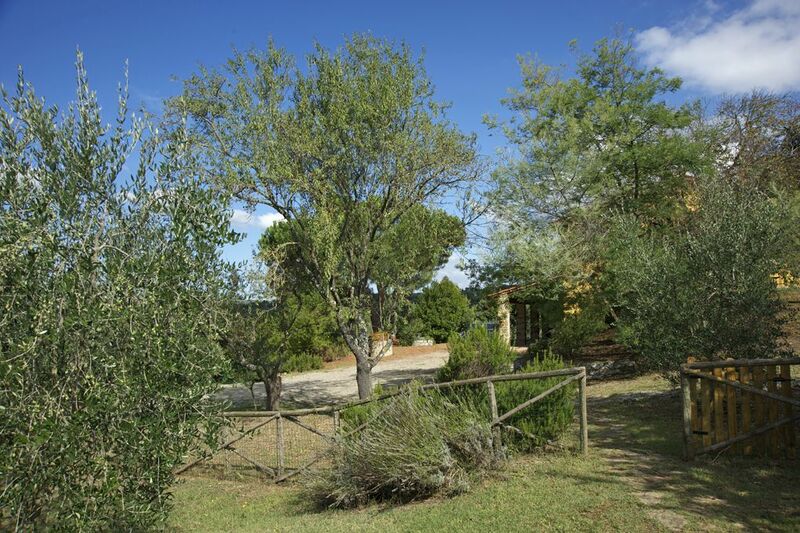 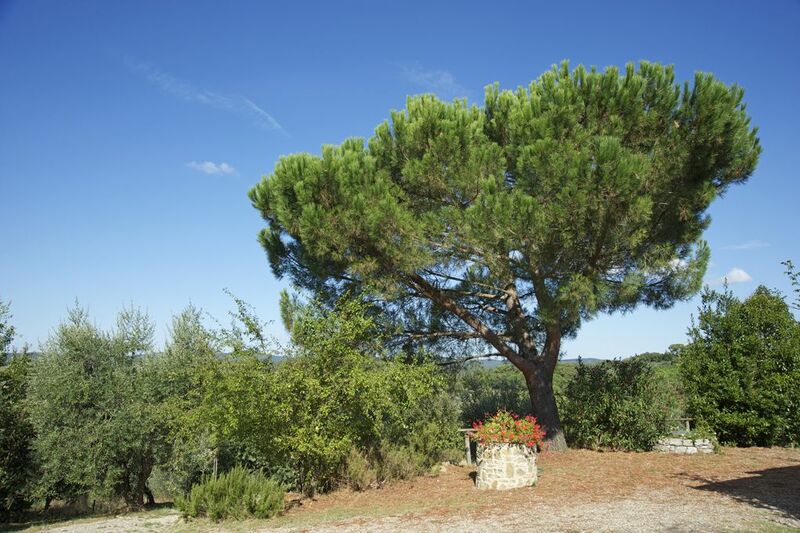 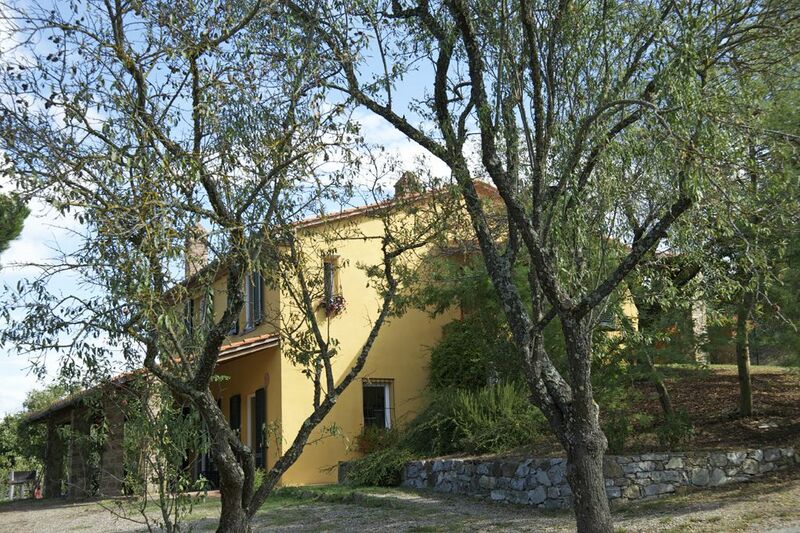 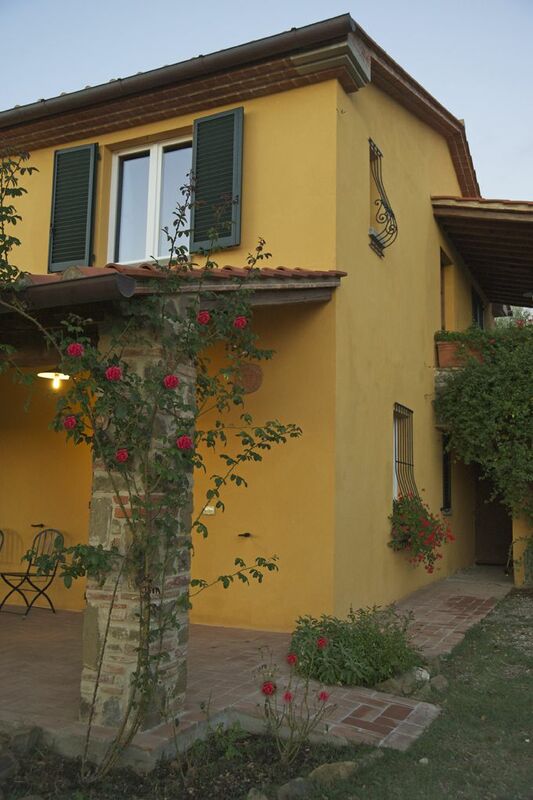 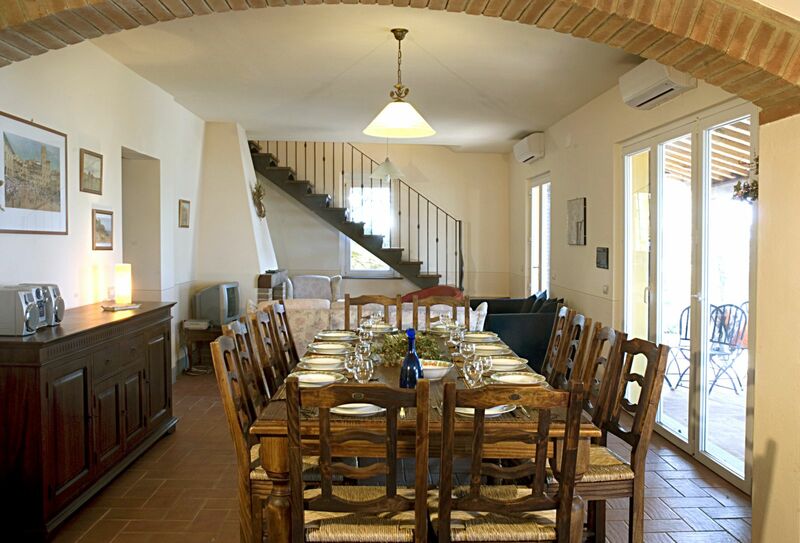 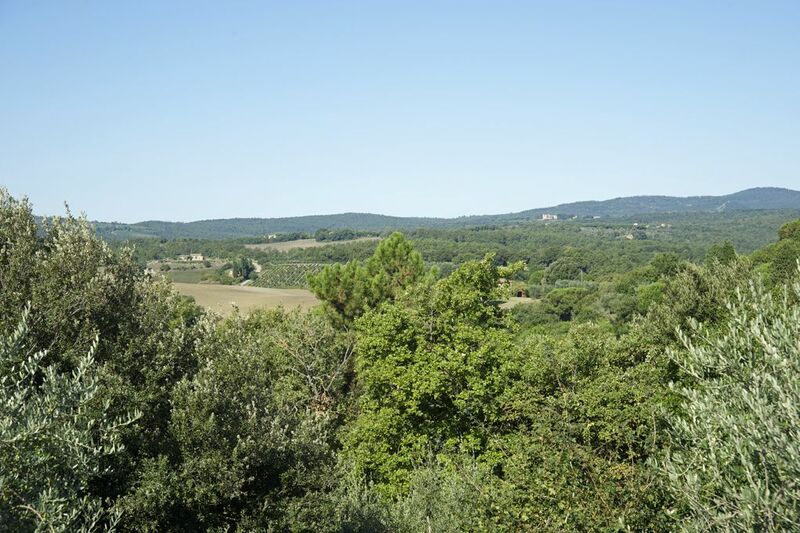 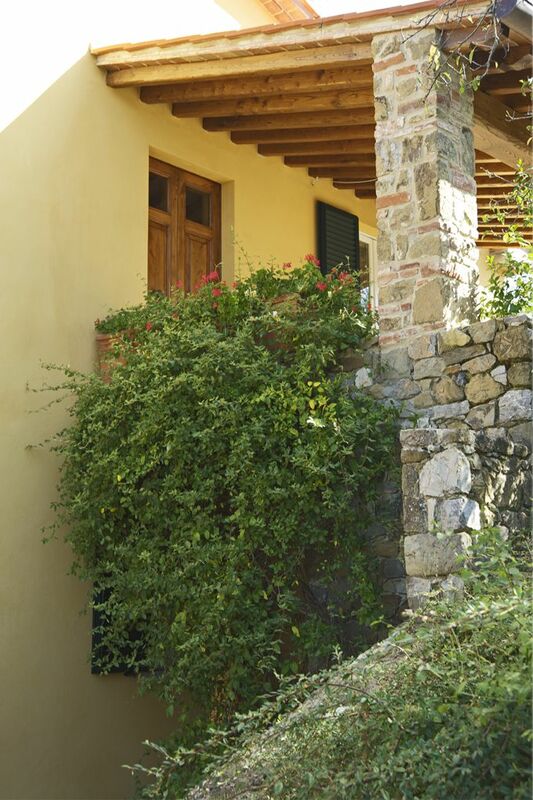 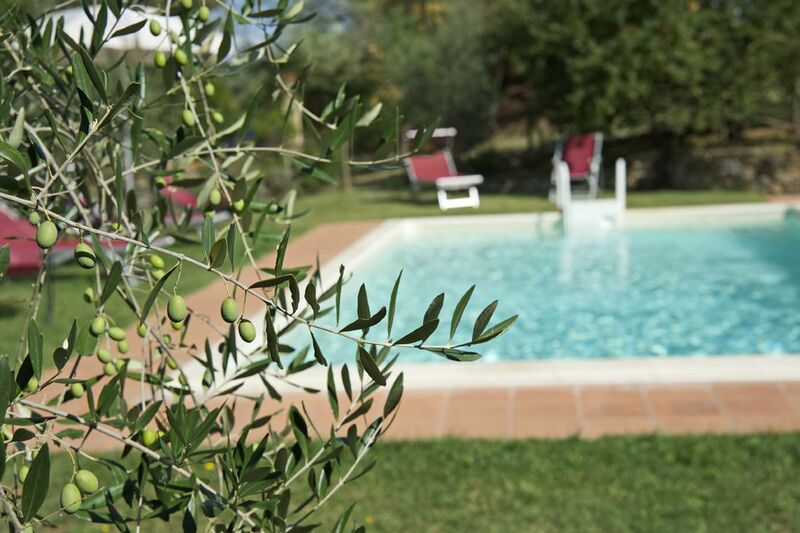 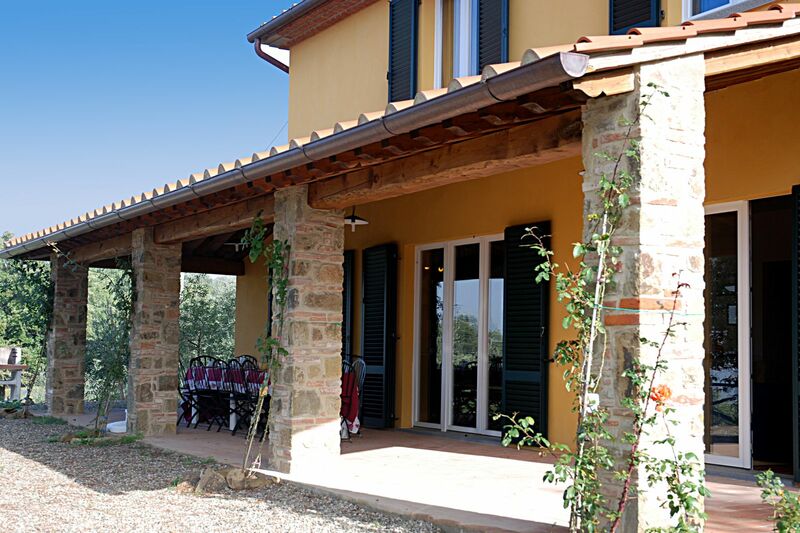 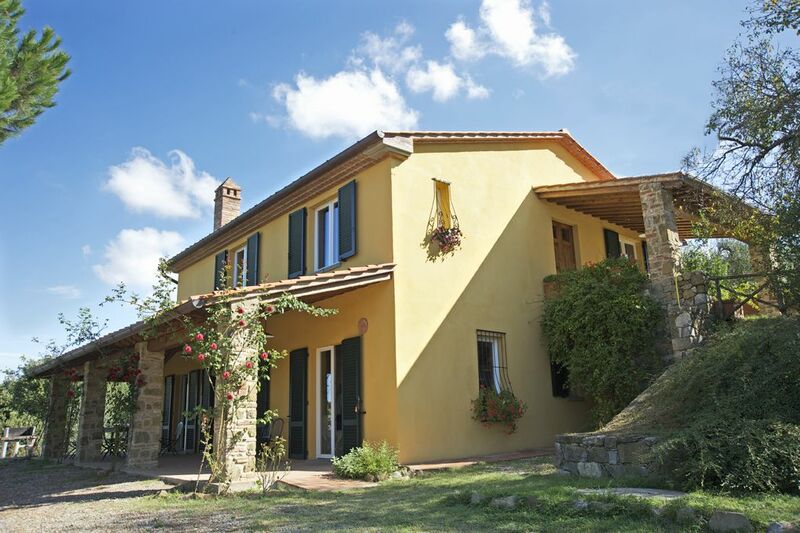 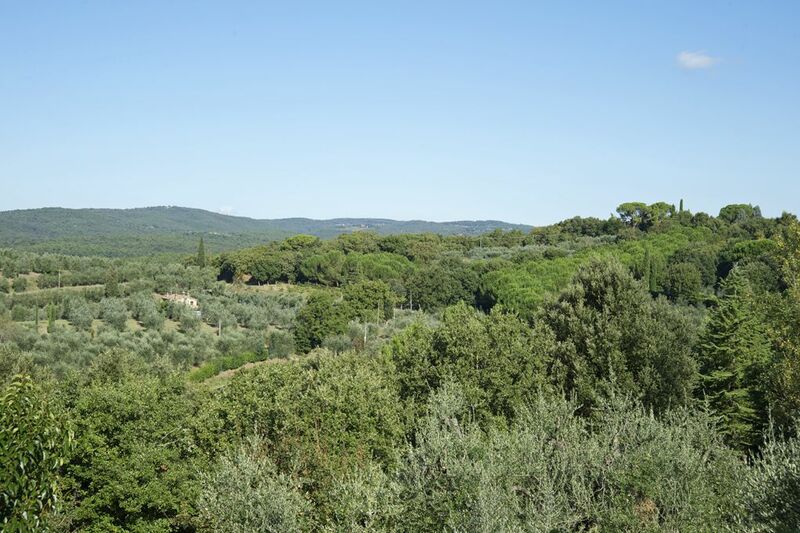 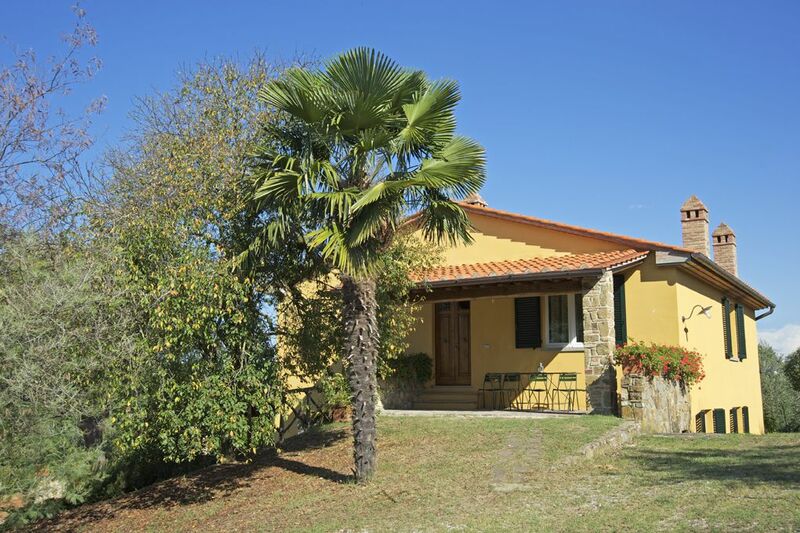 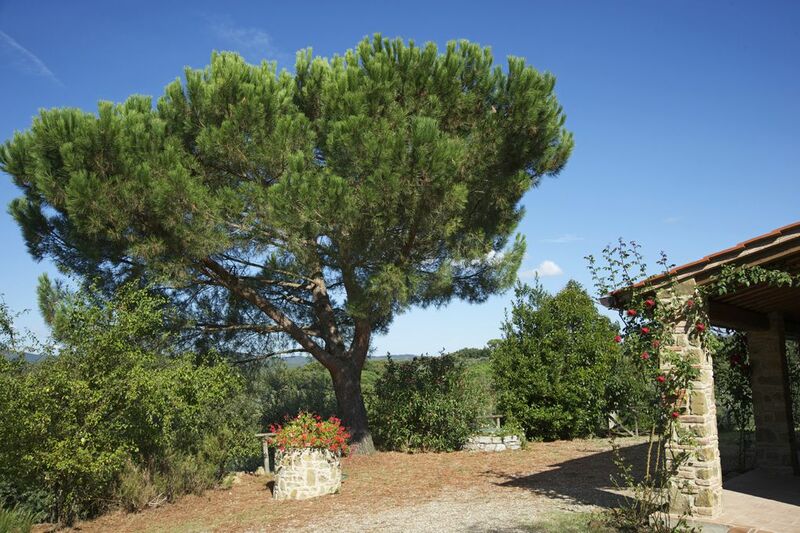 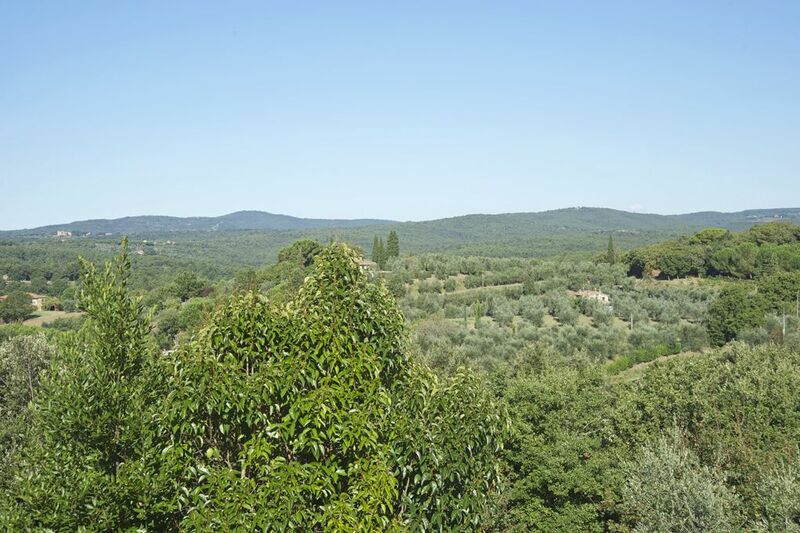 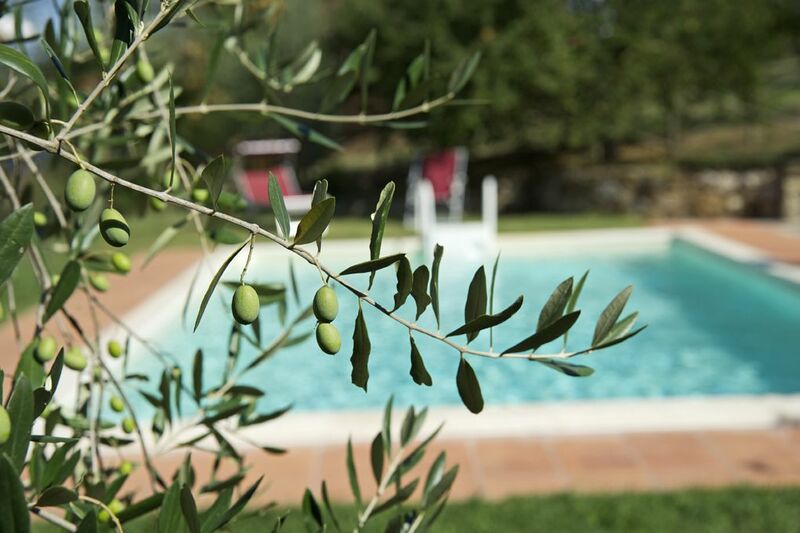 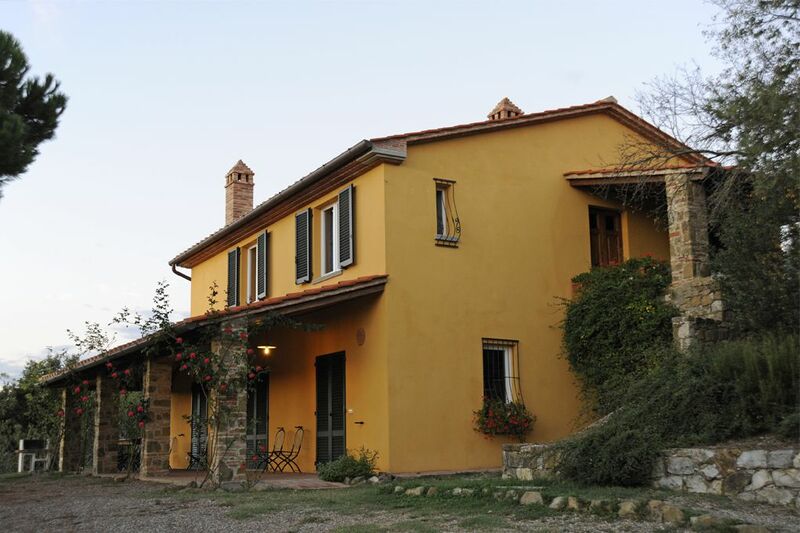 The Villa is located on a hill among olive groves and has a garden and a swimming pool (5x10 metres), a pergola and a terrace on the first floor. 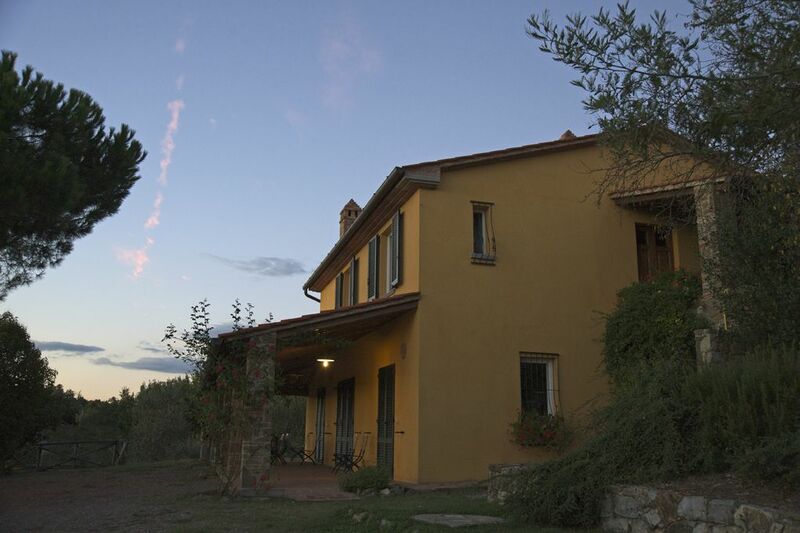 The renovation was done according to the latest standards of ecological design (in fact there are thermal panels, photovoltaic, roof ventilation and a dual system for water). 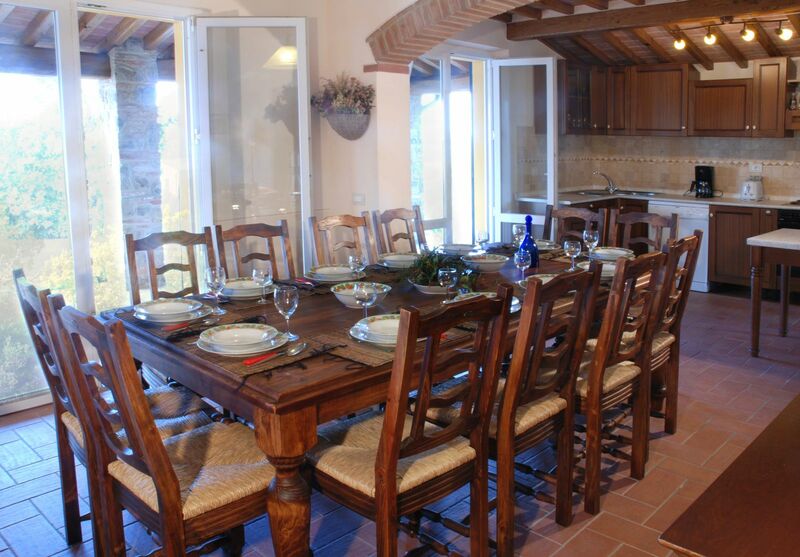 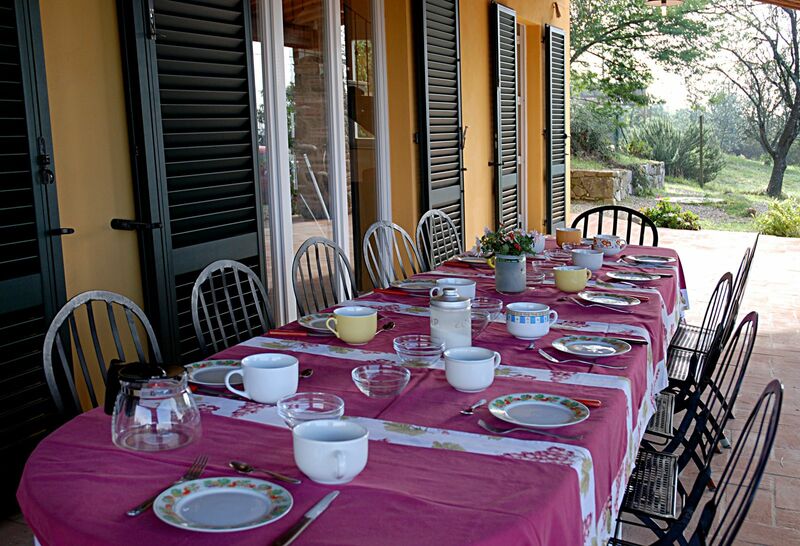 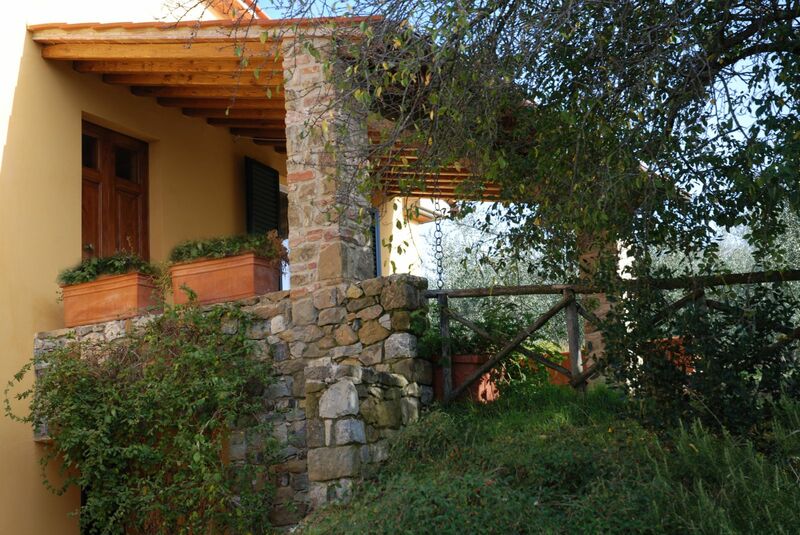 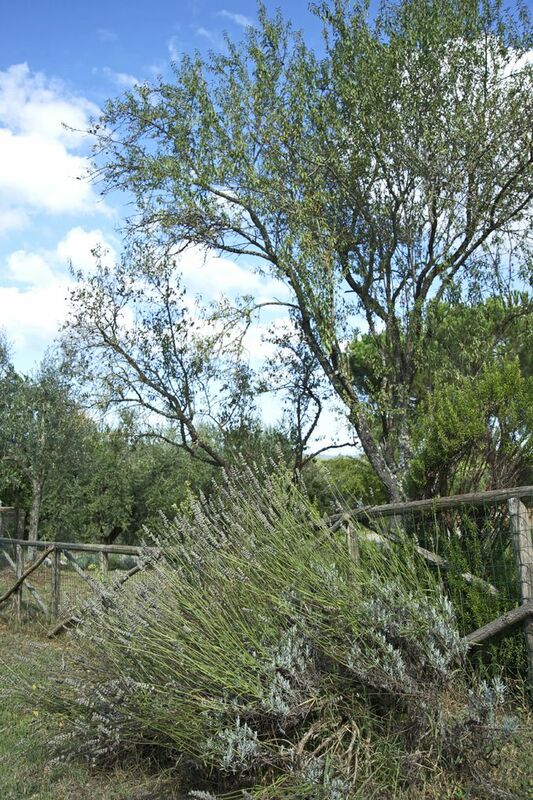 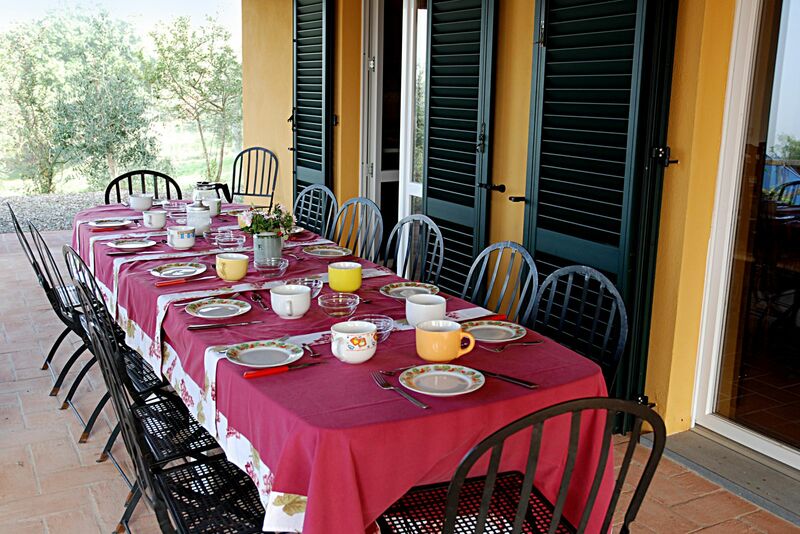 At the main entrance of the villa there is a pergola with a large wooden table and iron chairs. 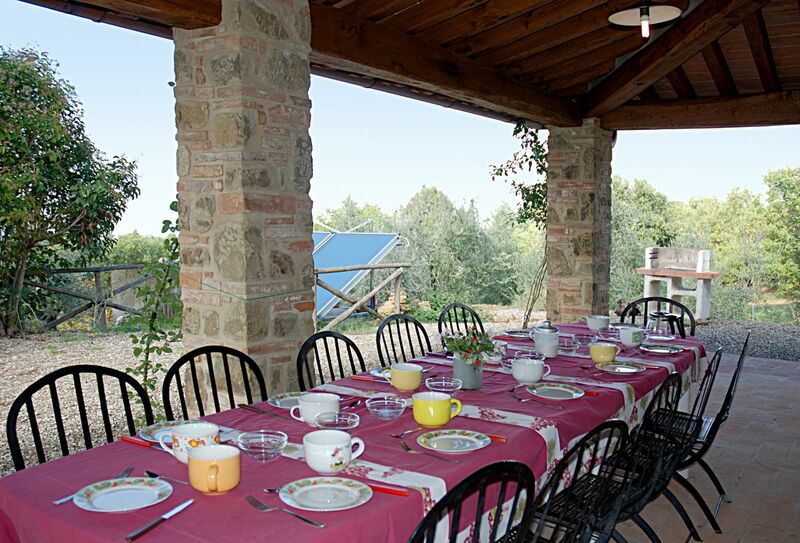 On the other entrance there is a pergola with big table and iron chairs. 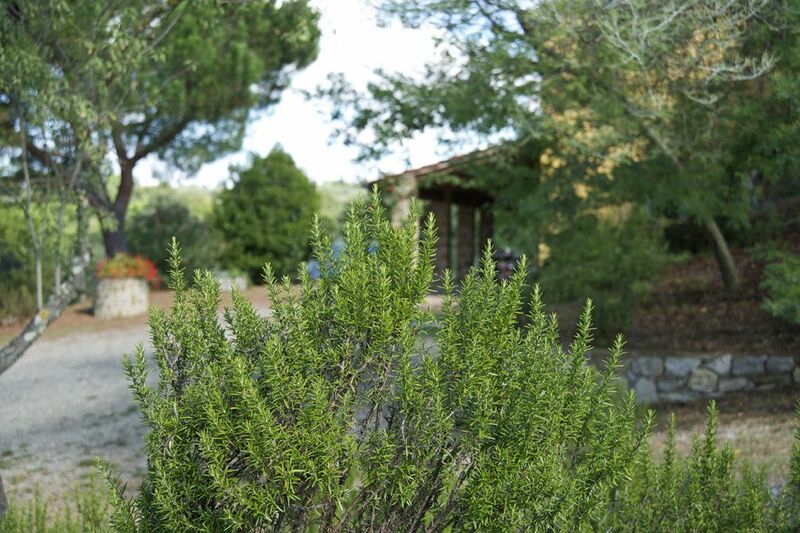 In the garden there is a barbecue. 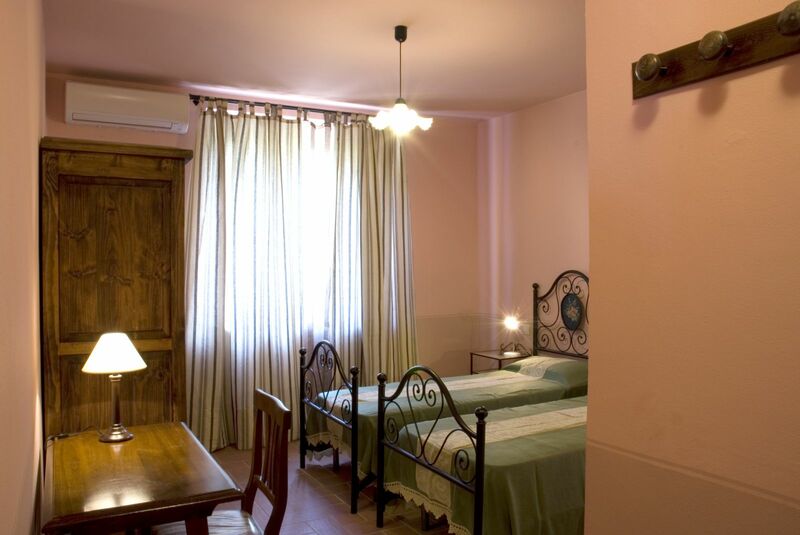 -On The ground floor: a living room with fireplace, satellite TV and stereo, kitchen (with dishwasher, microwave, oven, toaster, coffee maker American, refrigerator with freezer, iron and ironing board ), bathroom, double room with bathroom (also for disabled people), double room. 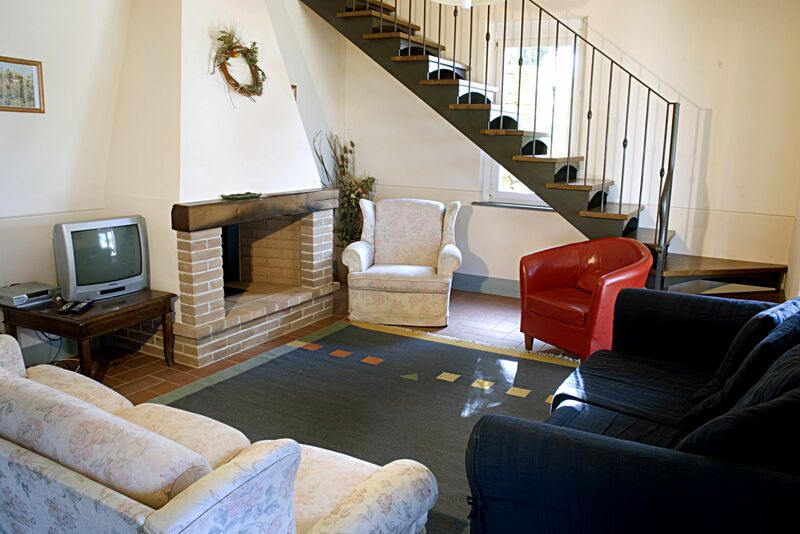 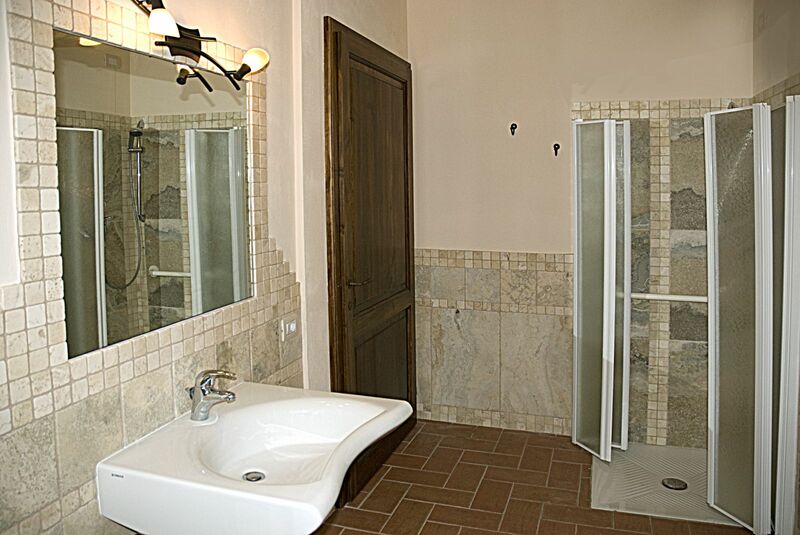 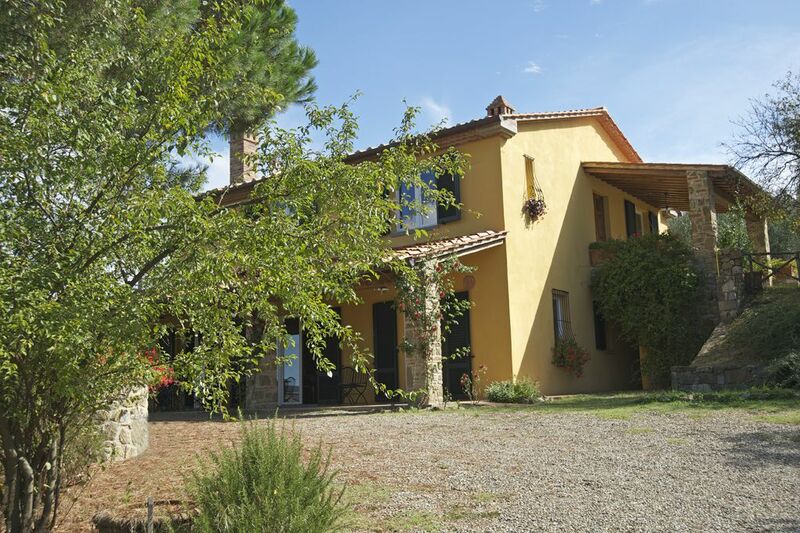 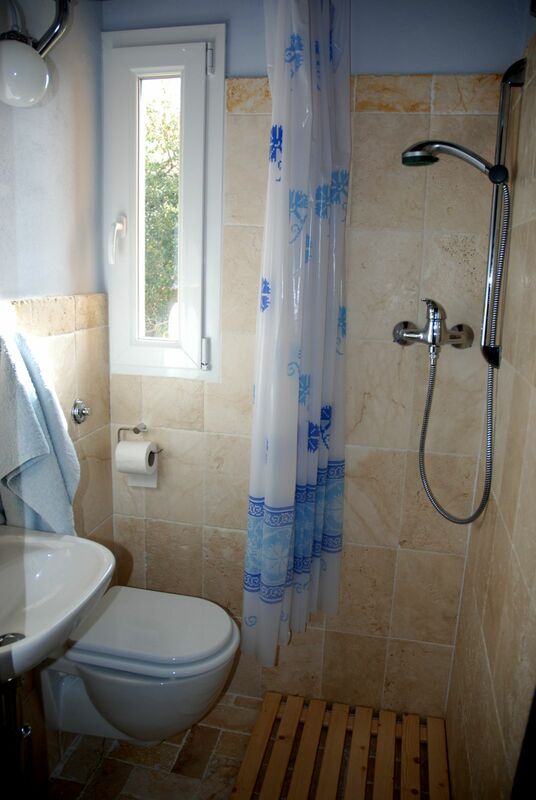 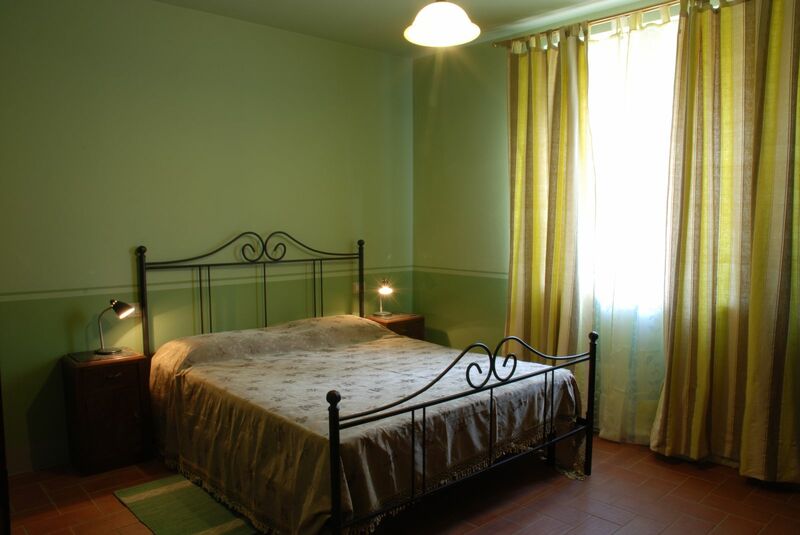 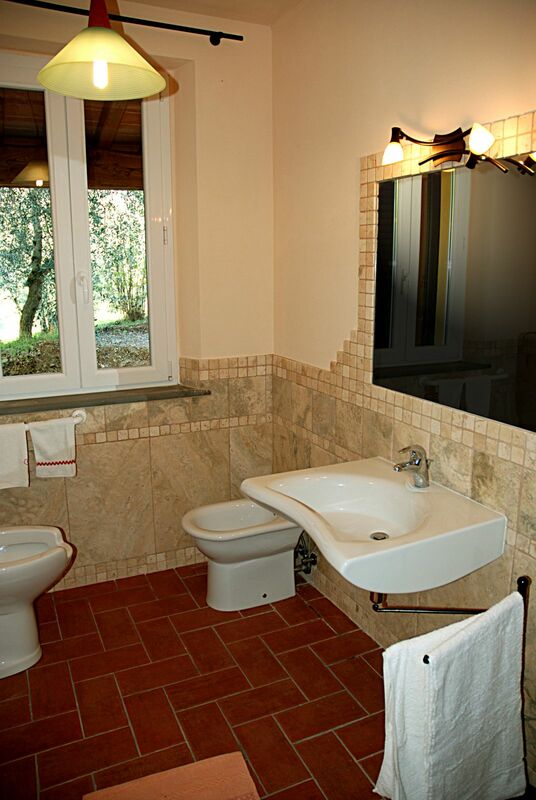 -On The first floor: four double bedrooms and 4 bathrooms (one with Jacuzzi). 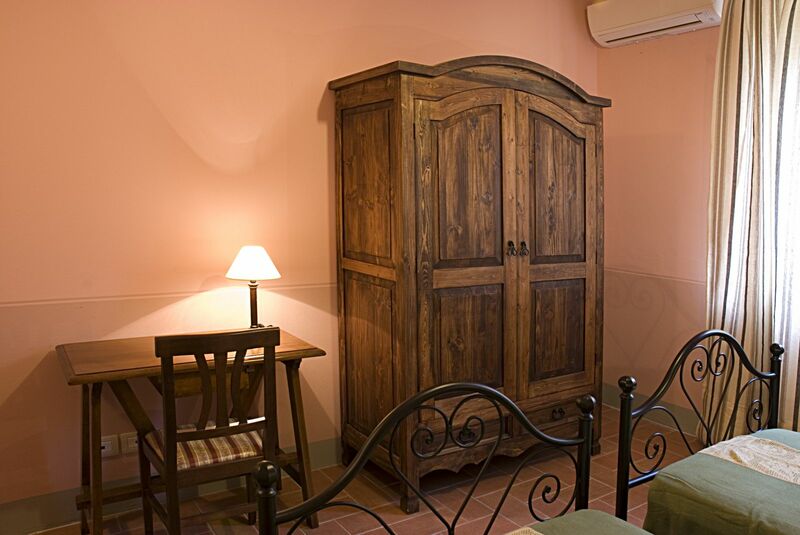 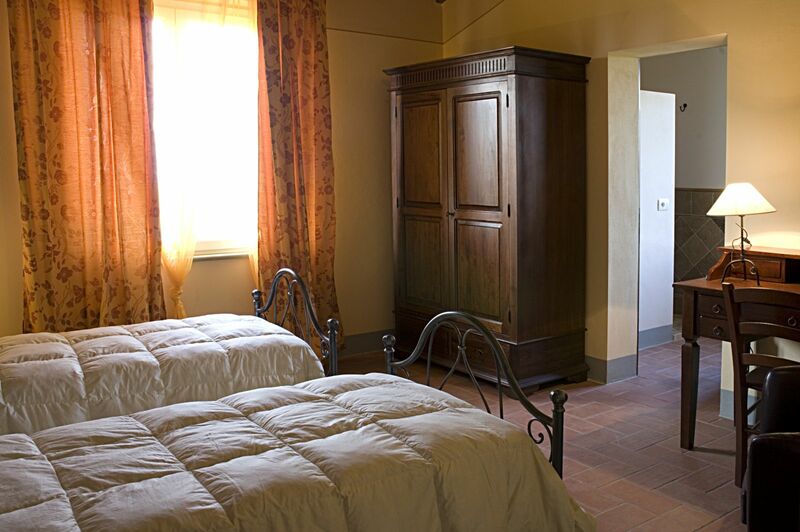 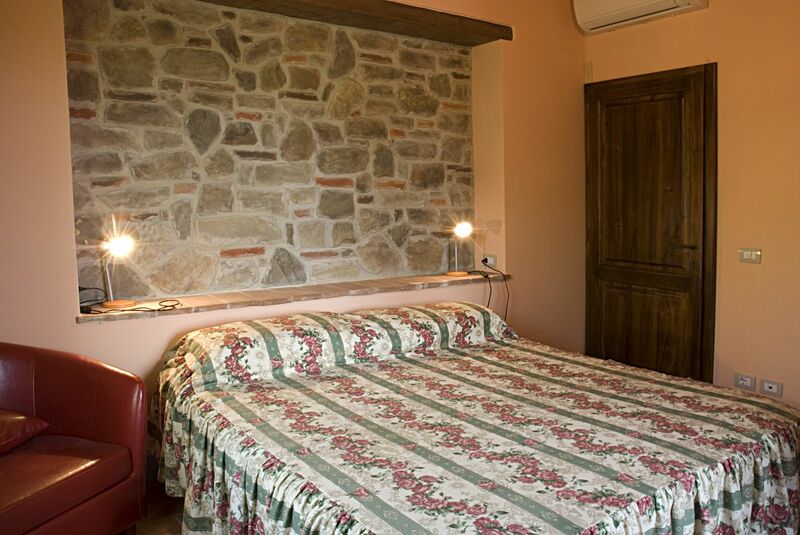 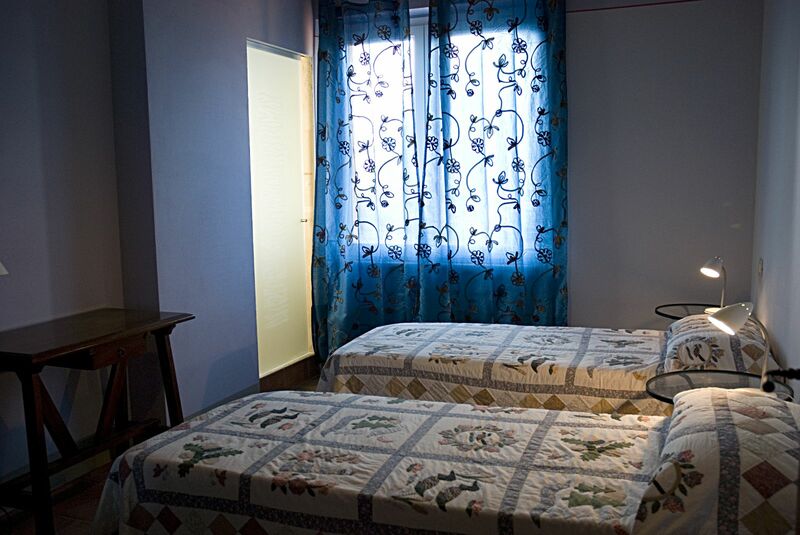 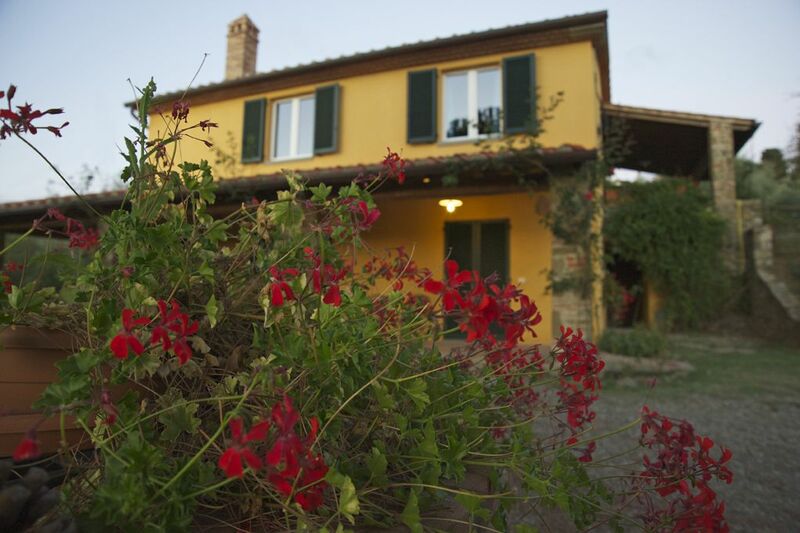 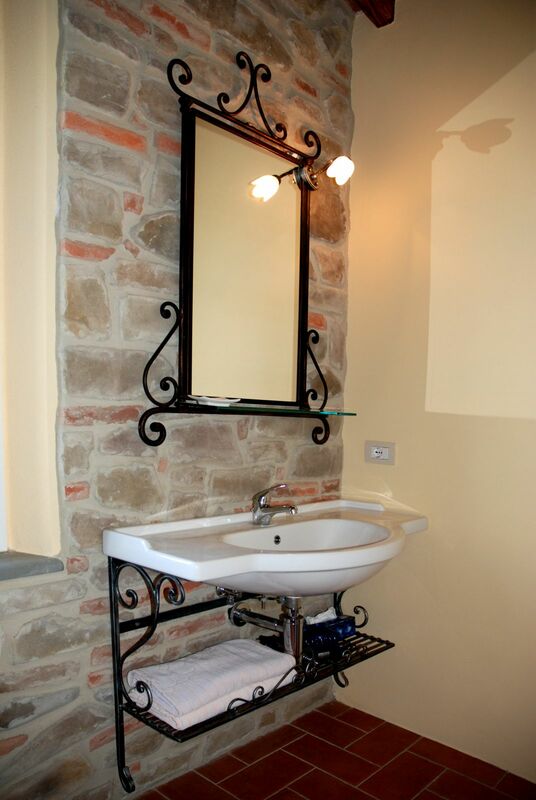 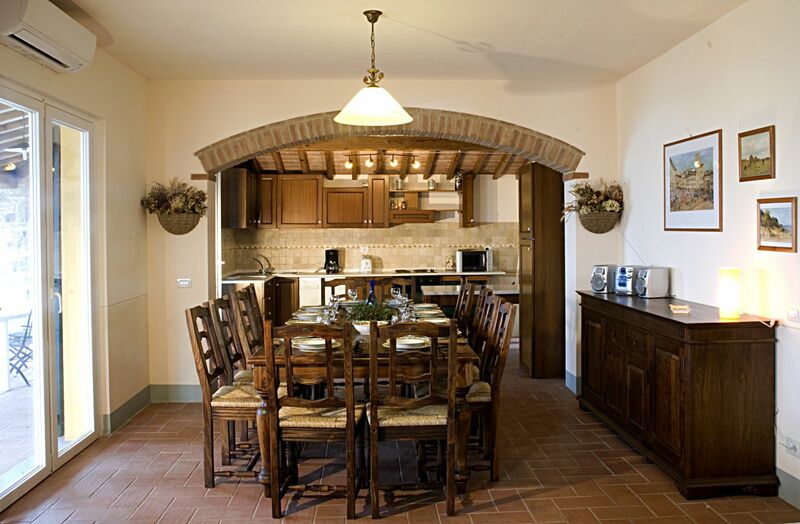 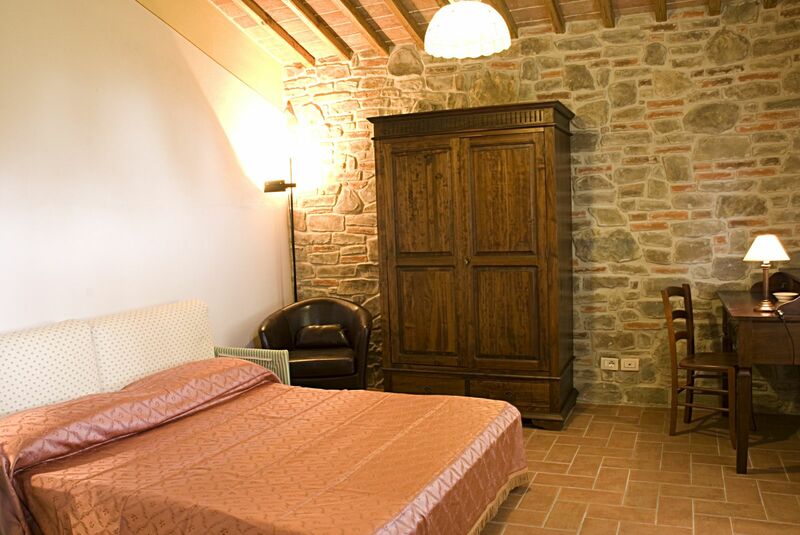 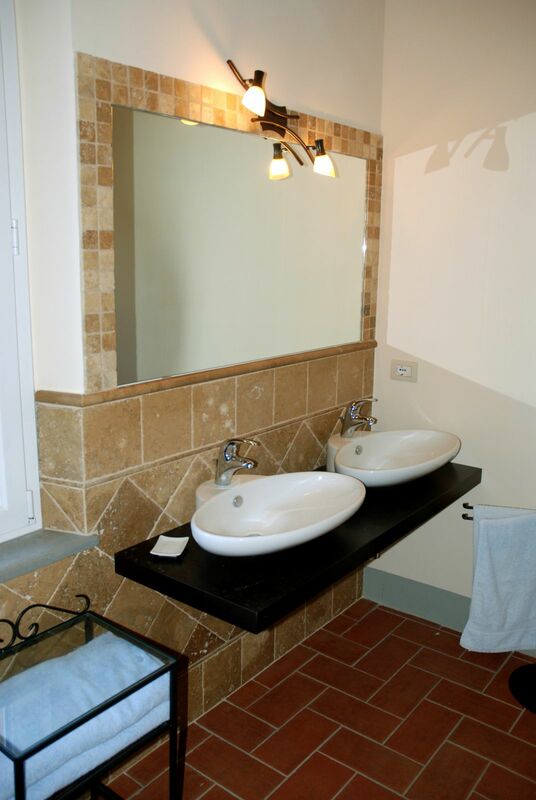 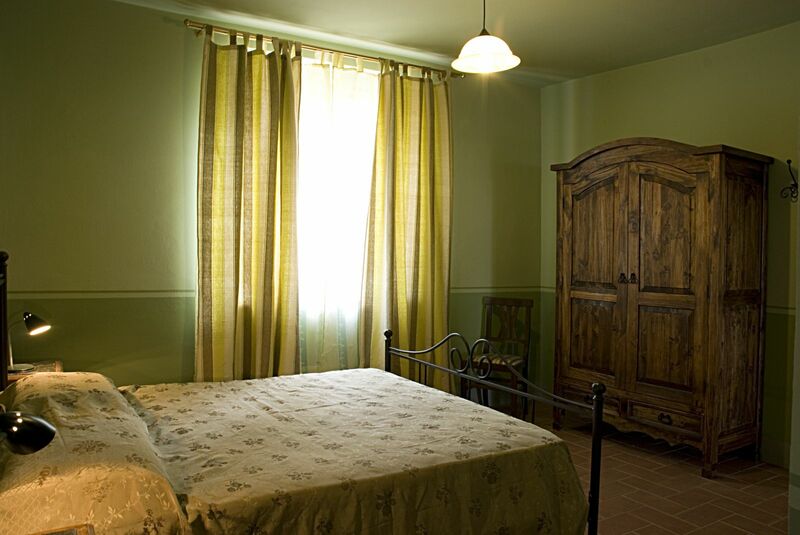 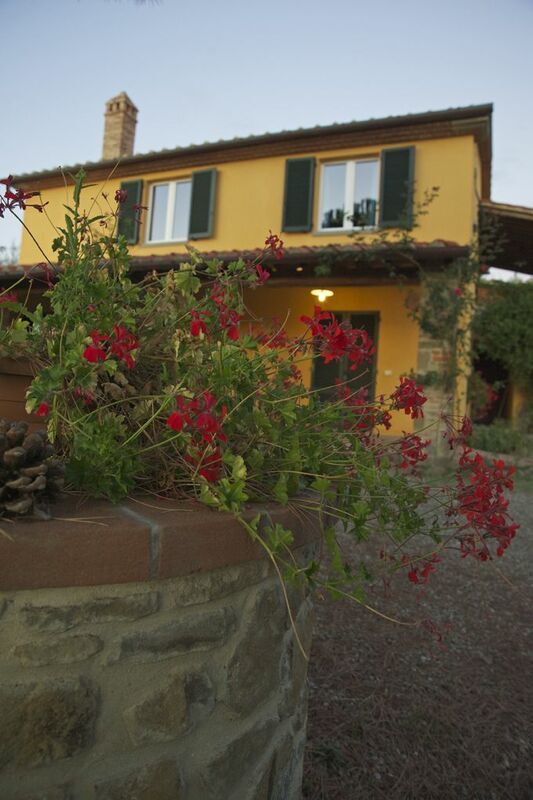 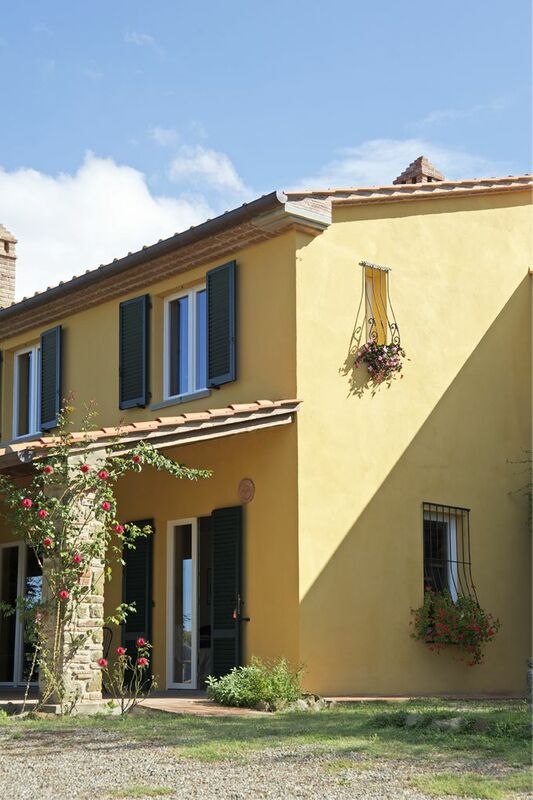 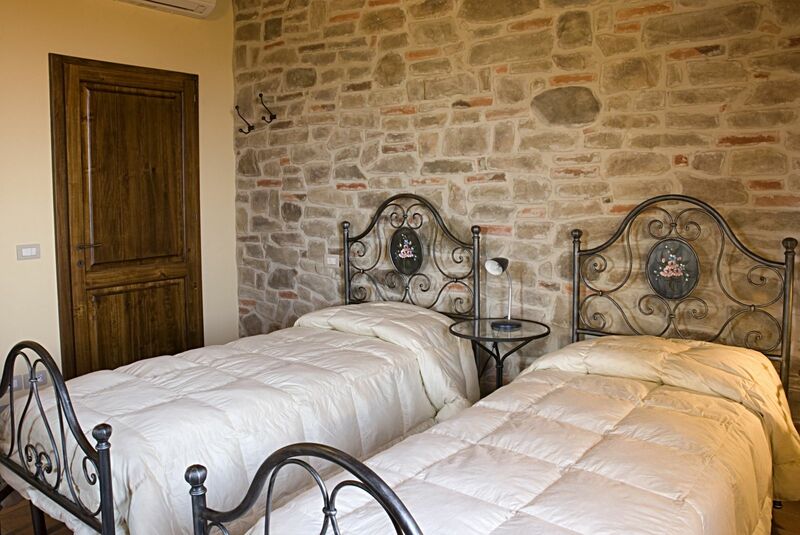 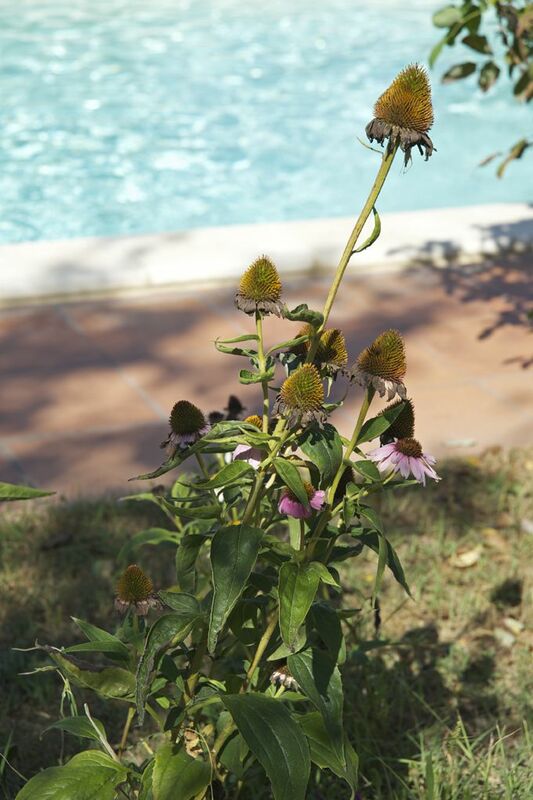 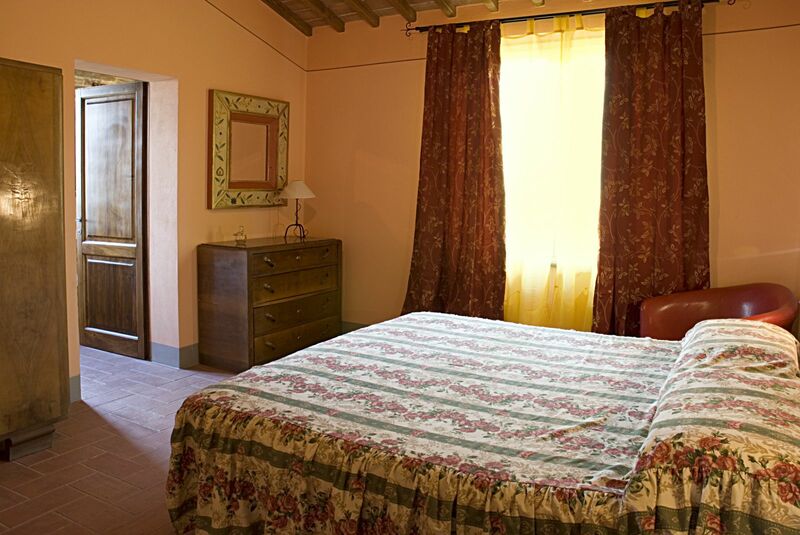 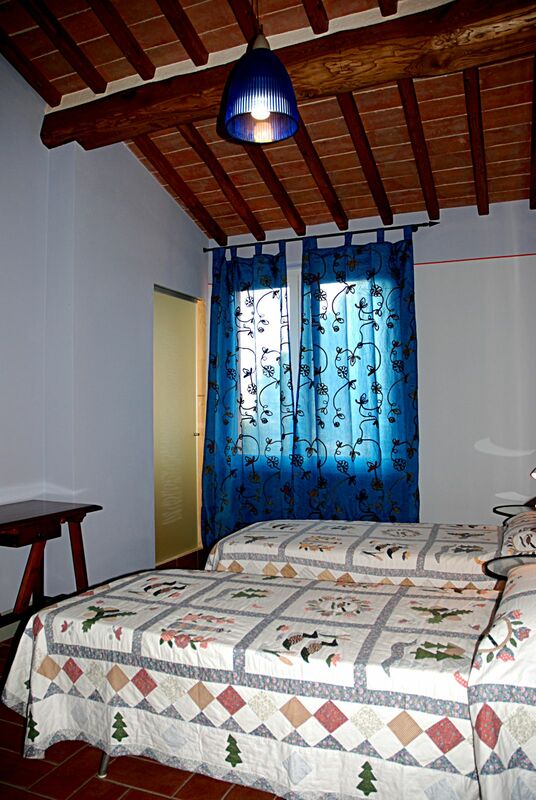 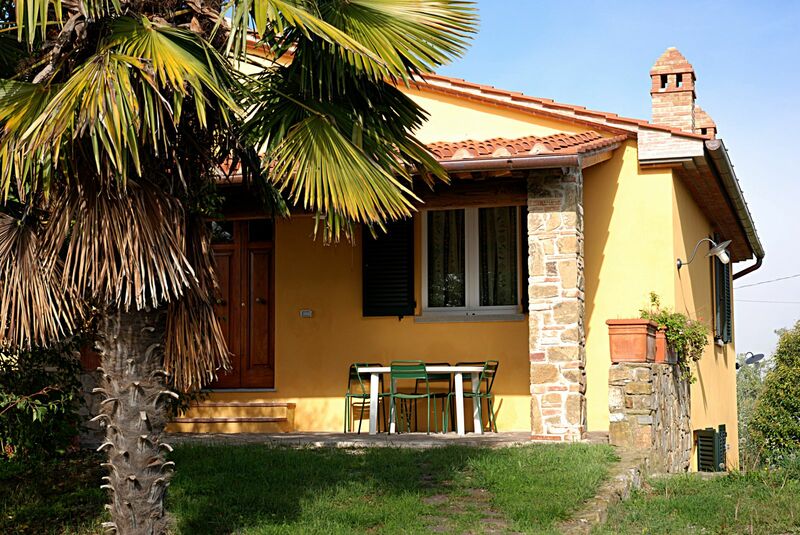 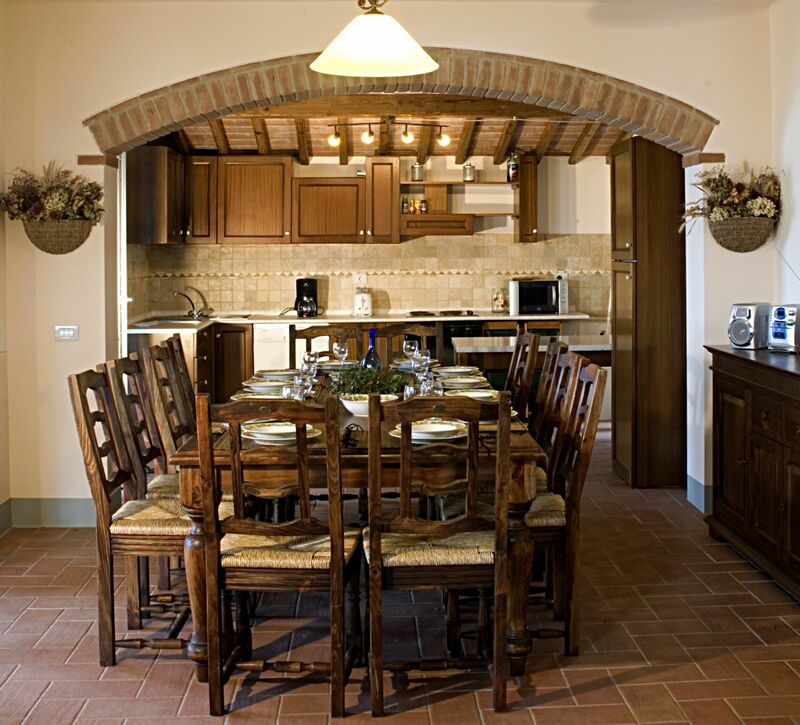 The villa is equipped with air conditioning in all rooms.Included in the price: weekly change of linen, laundry, parking, final cleaning, Wi-Fi, pool, barbecue. 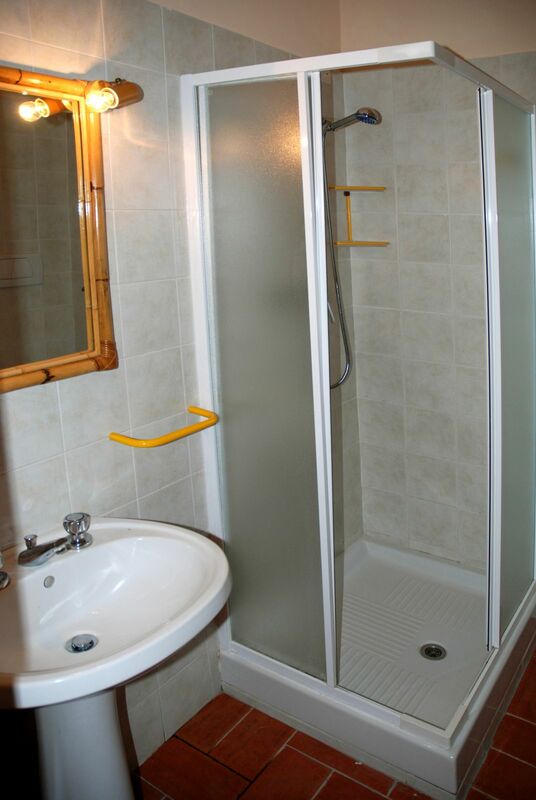 Pets allowed.